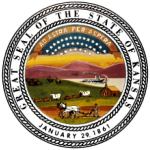 The Kansas Secured Promissory Note Template is a written agreement that is entered into by two parties – a lender and a borrower. The agreement is primarily used to establish the terms of a loan (such as the agreed upon interest rate, principal sum, payment schedule, etc.). Secured notes have the backing of the borrower’s pledged assets (as collateral), in contrast to unsecured notes which do not. The instructions in the section below can be used as a guide when drafting your note. Step 1 – Download the document in your preferred format. Submit the installment amount if applicable. Enter the monthly OR weekly due date if applicable. Provide the final due date of the note. Enter the updated interest rate (in the event of default). 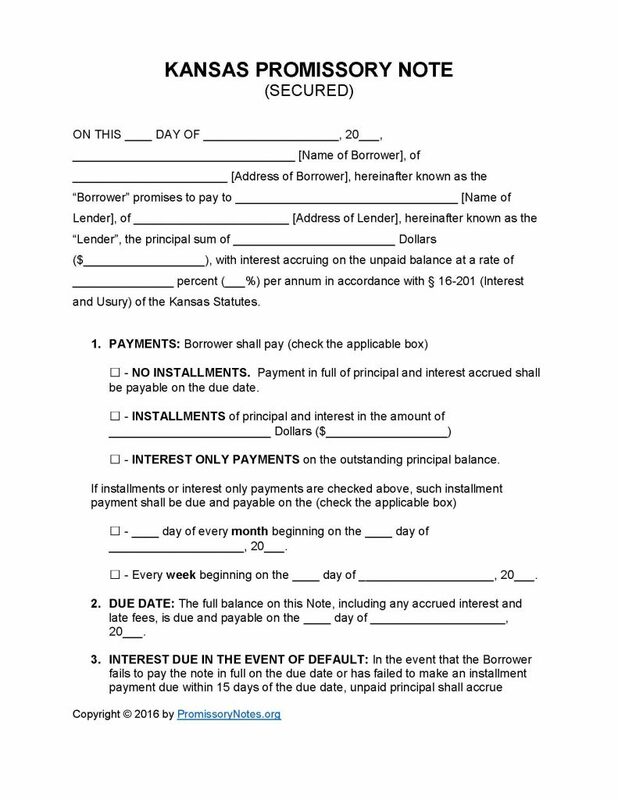 Provide the time period the borrower will have after missing a payment before the lender will issue a late fee. Submit the amount of the late fee. Submit the number of days the borrower will have to cure a default. Fill in the date in the given format. Submit the names of the witnesses. Witnesses are required to sign their names.